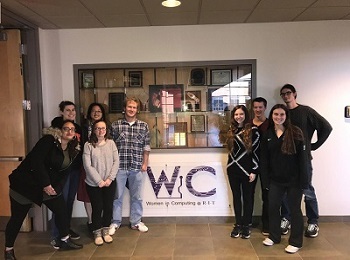 The WiC Allies committee within Women in Computing purpose is to help and support the goals of our organization as a whole. We want to affect positive change and foster a more inclusive GCCIS (Golisano College of Computing and Information Sciences) culture. At the Allies committee meetings, we discuss gender-related issues in computing and host/support events to help encourage resolution. Allies also volunteer for WiC events and are members of other WiC committees. WiC Allies is an all inclusive group including any identification encourages collaboration across all genders to solve gender issues. Join the conversation by attending one of our meetings or workshops.